Wondering how to make GTA San Andreas more entertaining? Well now it's possible by adding music to GTA (Grand Theft Auto) San Andreas. This transforms the game into a foot-thumping experience by enabling you to play to personal music. This will play even when the user is playing the game. The songs will start playing in GTA San Andreas only after clicking the Scan user tracks by going into personal songs options in the Audio config option. Now changing user tracks with every vehicle becomes simple. This article illustrates a six step solution for enabling music in GTA (Grand Theft Auto). I would like to know if I can add music in GTA San Andreas or GTA4 which will be played while I play the game! Thanks to antic80 for this tip. Published by aakai1056. Latest update on June 15, 2012 at 12:27 PM by aquarelle. 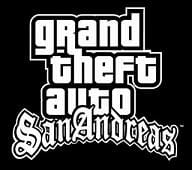 This document, titled "GTA San Andreas - - Add your own music," is available under the Creative Commons license. Any copy, reuse, or modification of the content should be sufficiently credited to CCM (https://ccm.net/).